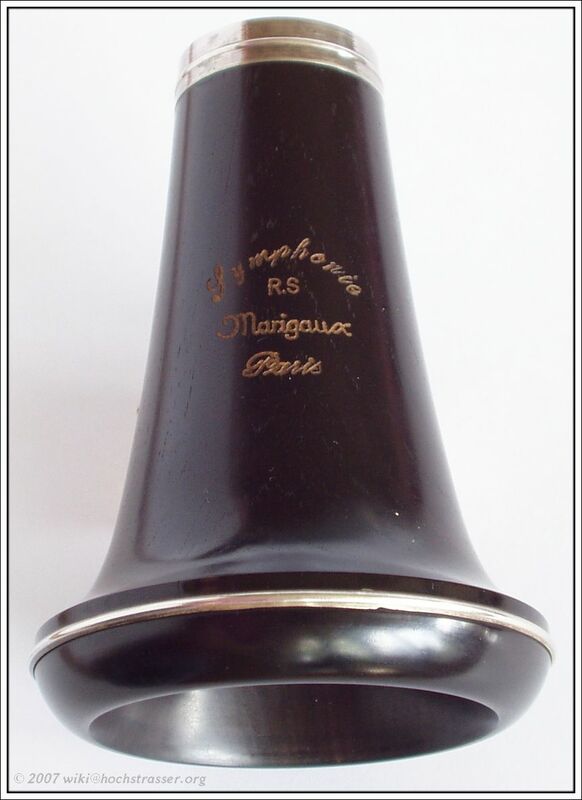 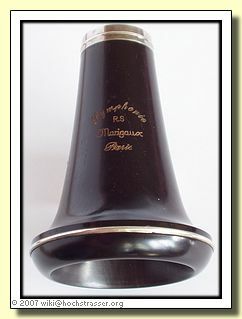 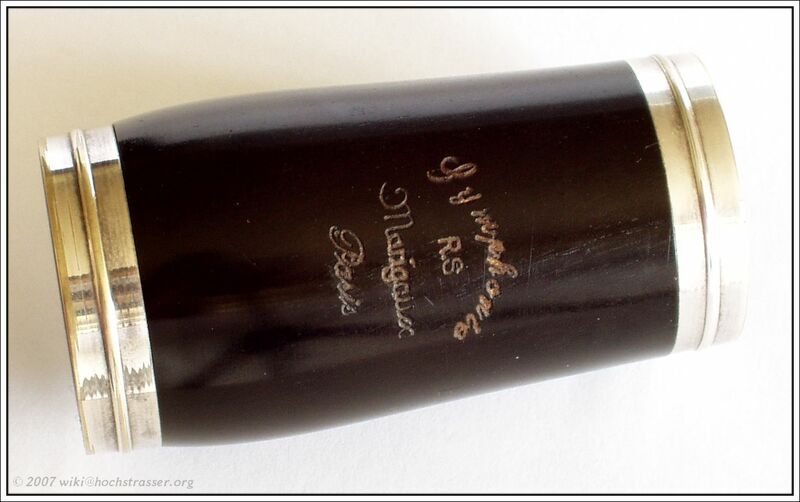 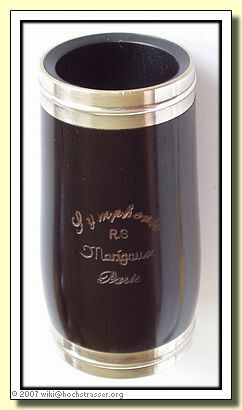 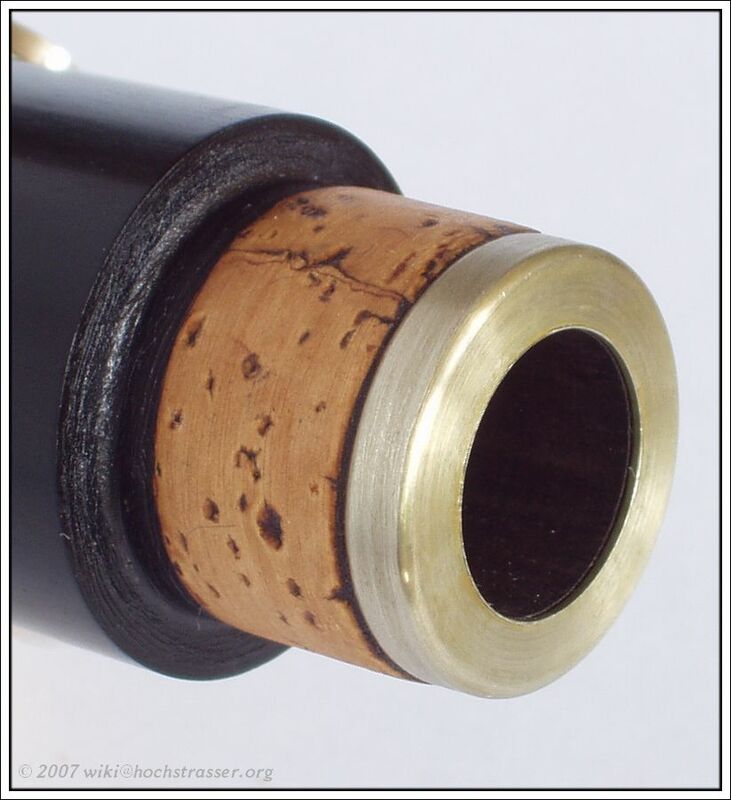 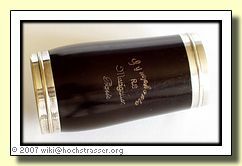 The Marigaux Symphonie was named after Roland Simoncini, former solo clarinetist of the Orchestre National de France, under whose guidance this clarinet has been designed. 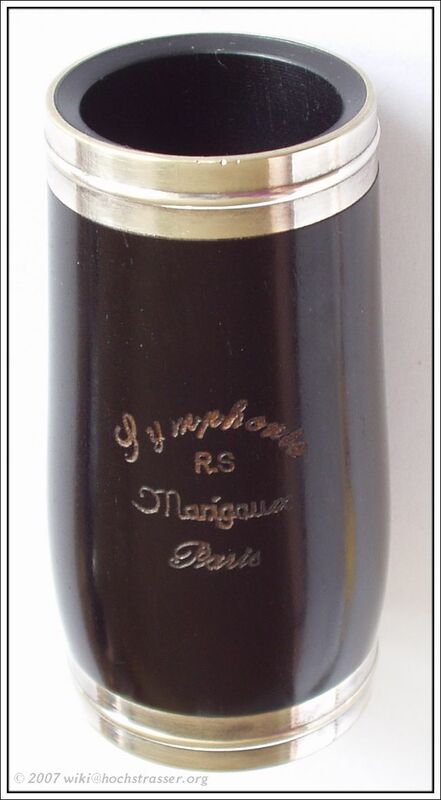 Unfortunately, Marigaux abandoned the clarinets sometime in 2003 and now concentrate on oboes and English horns. 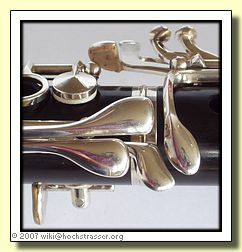 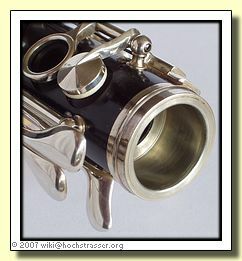 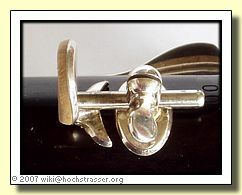 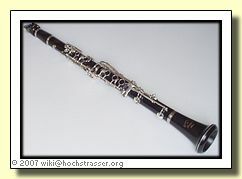 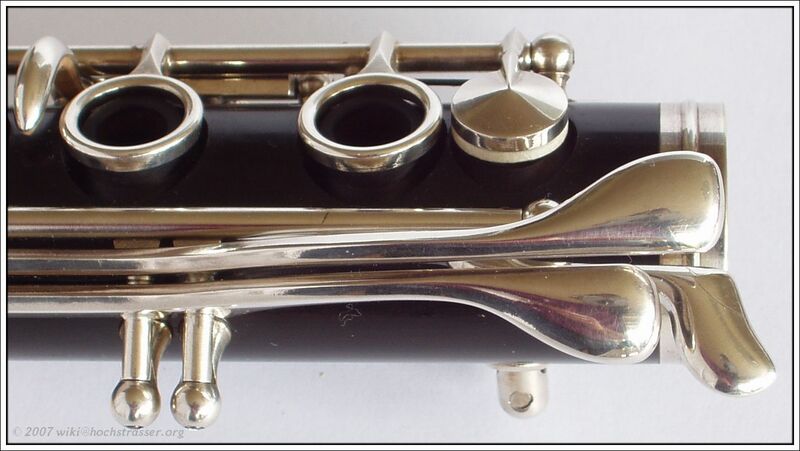 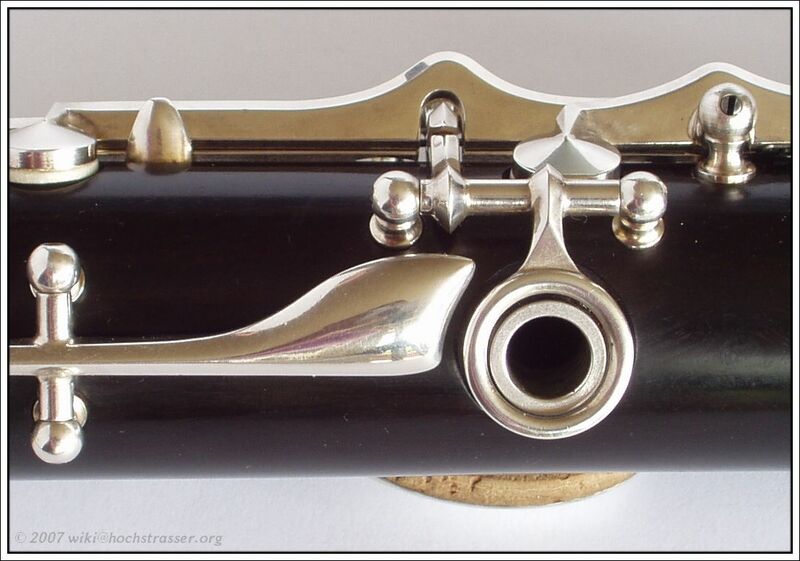 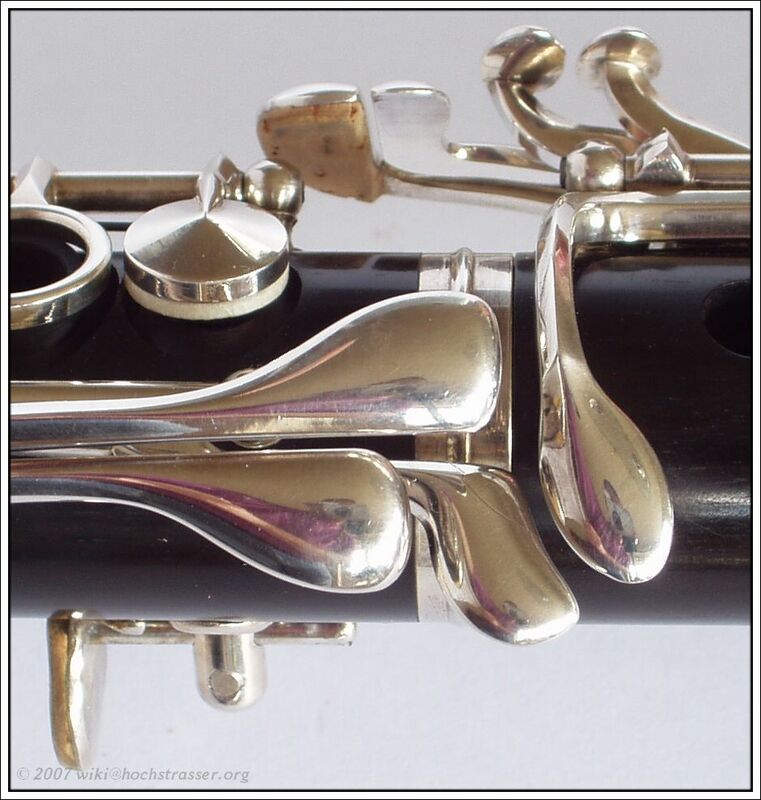 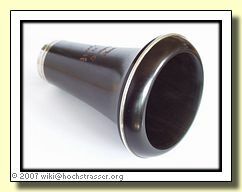 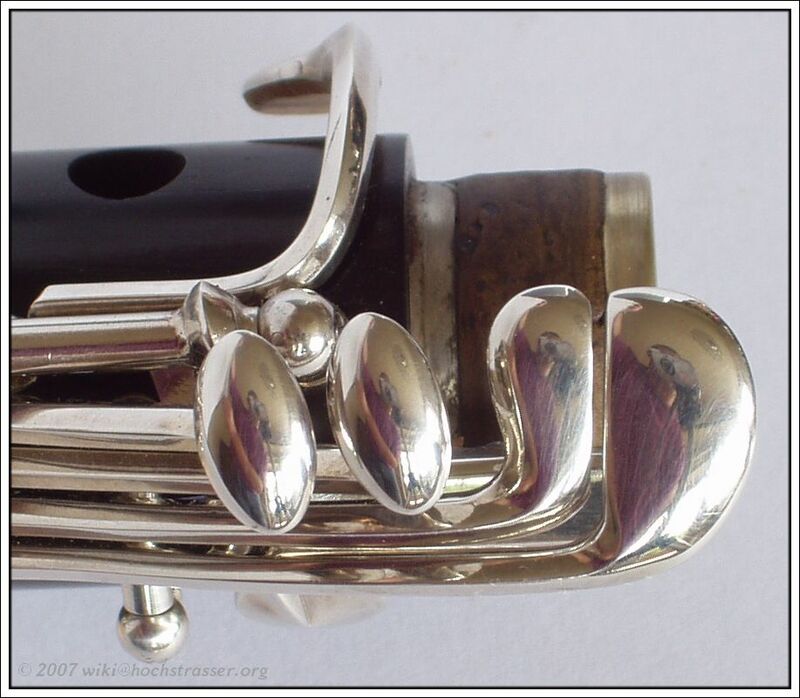 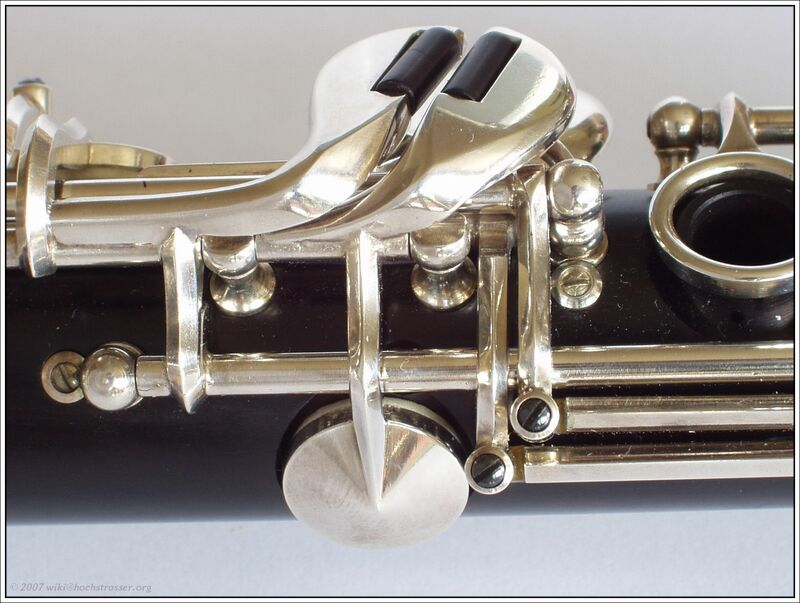 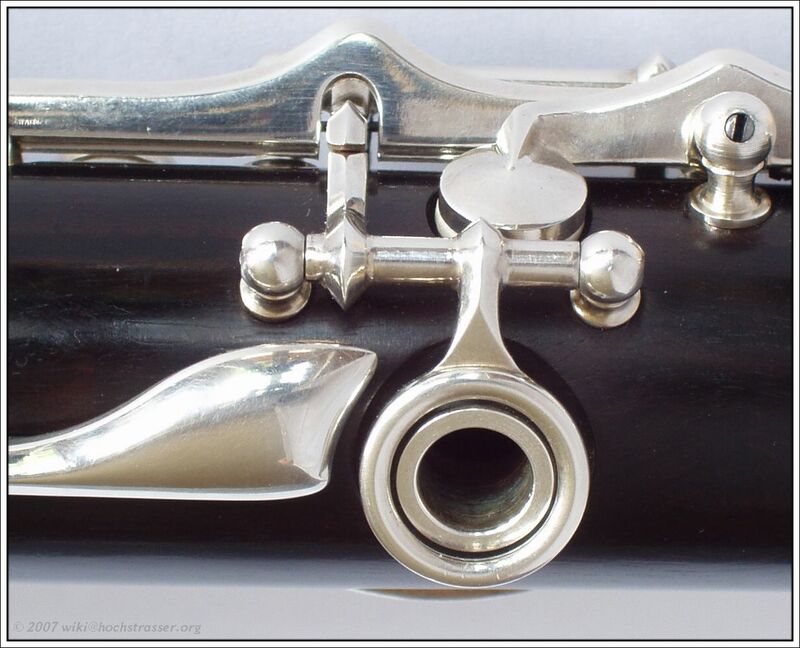 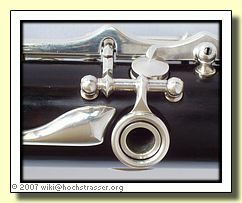 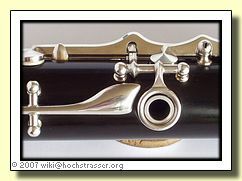 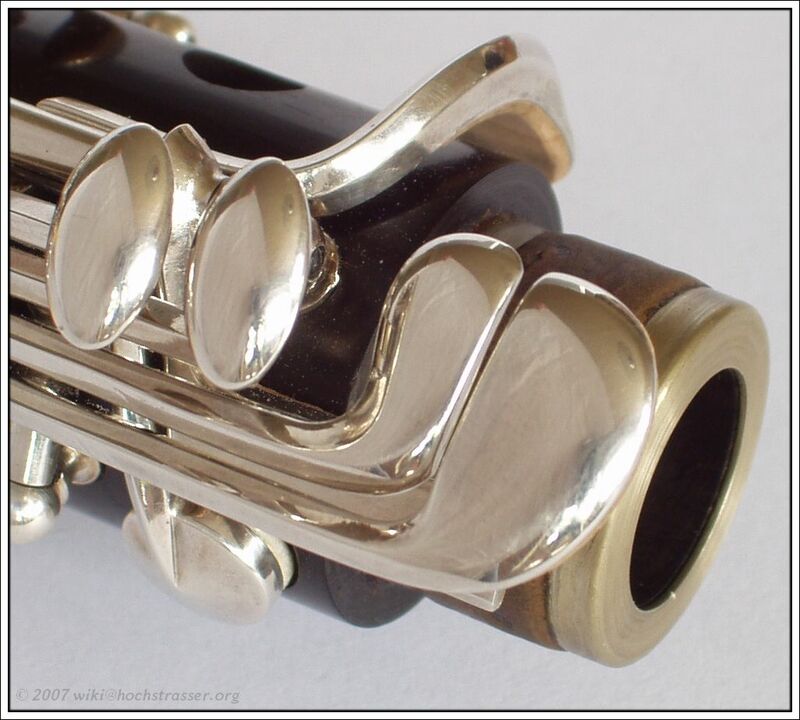 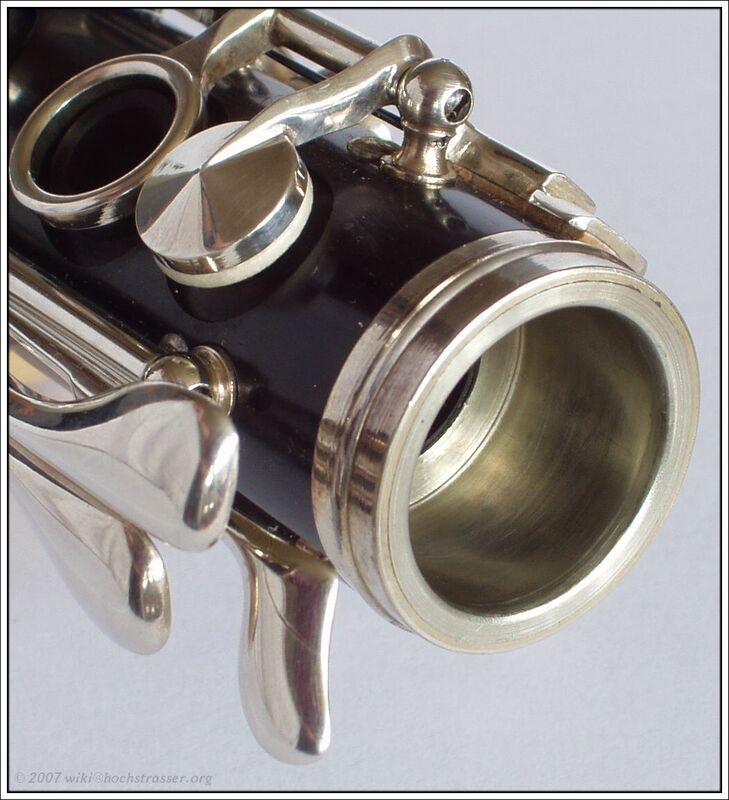 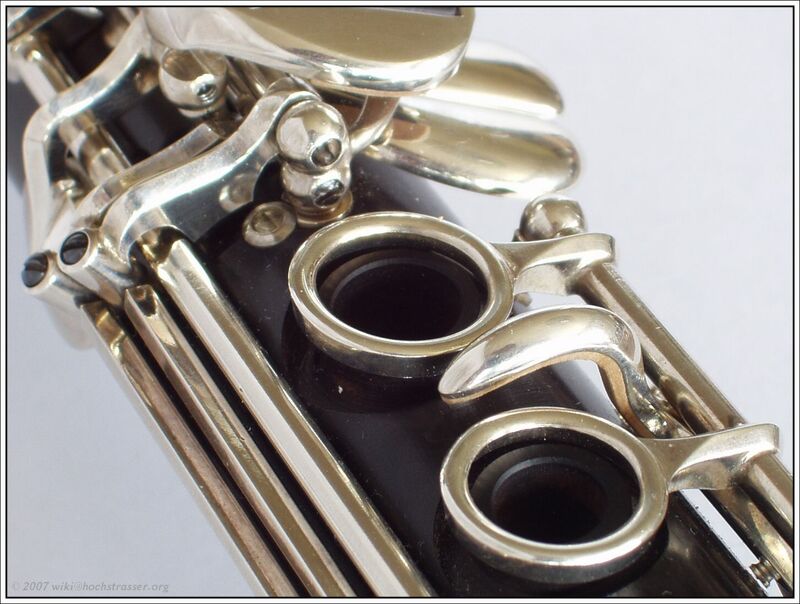 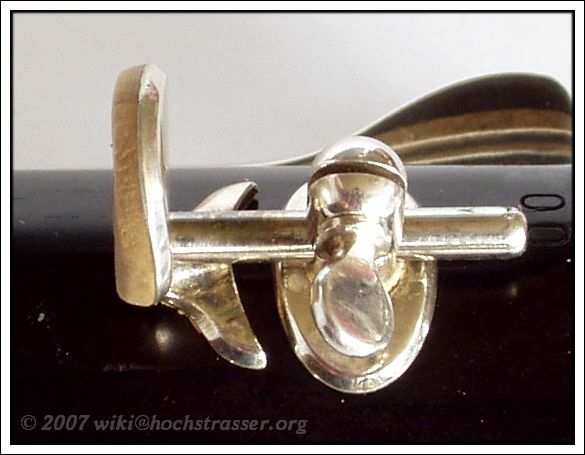 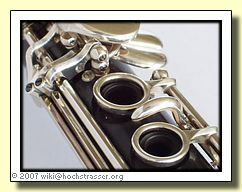 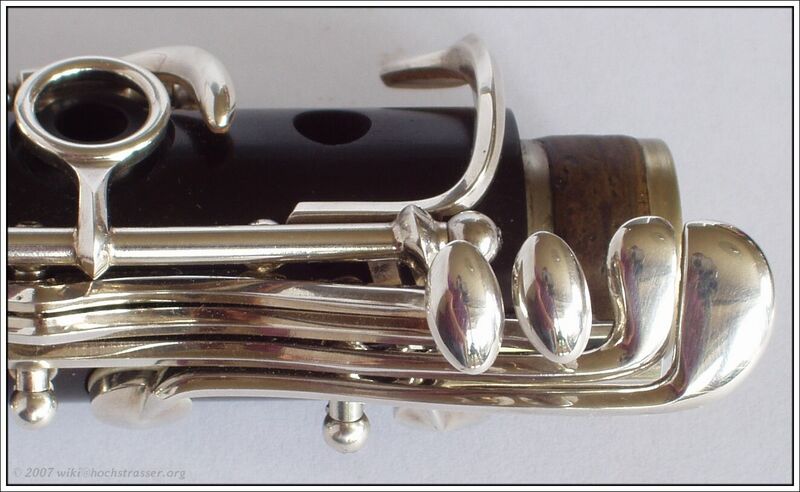 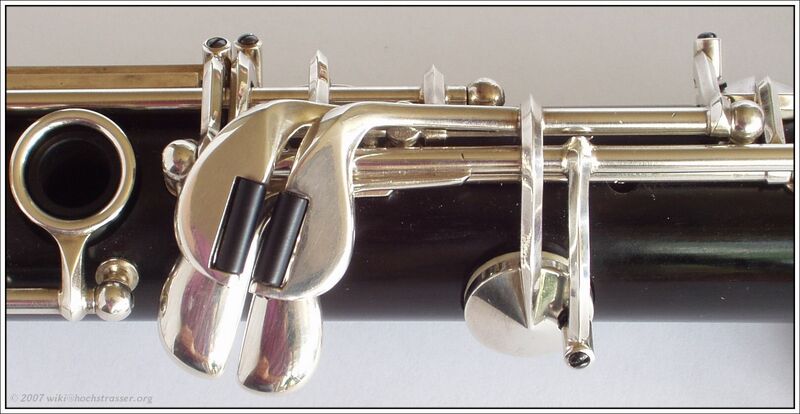 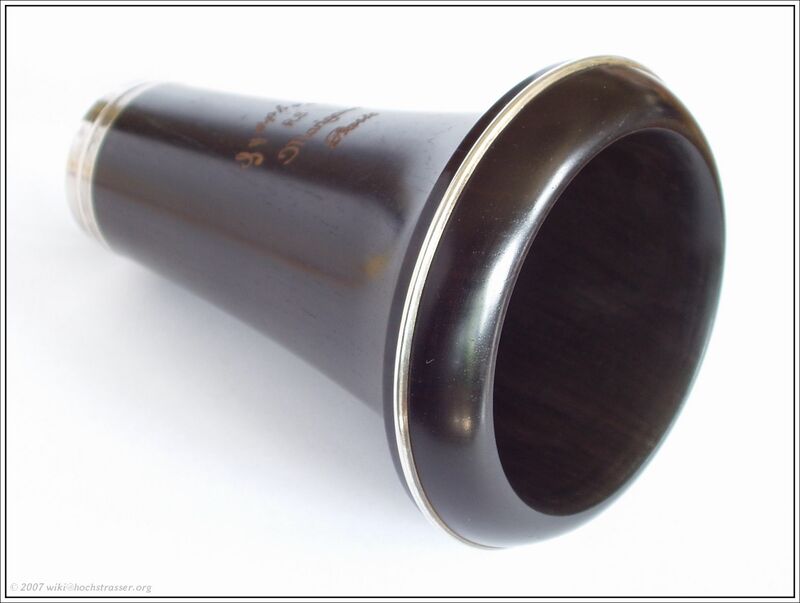 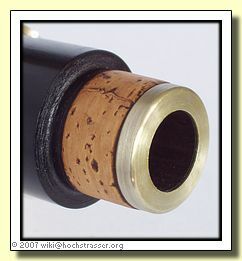 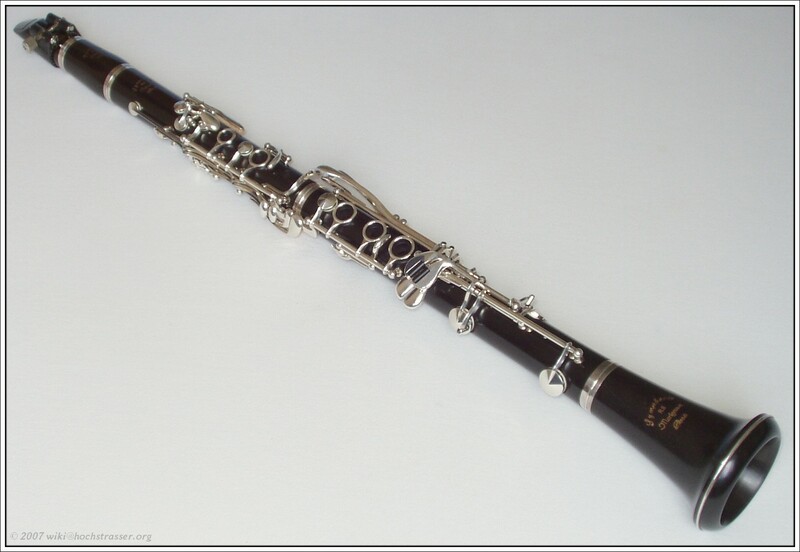 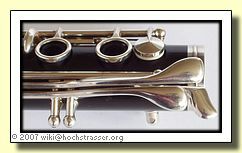 This clarinet sports a number of unusual ergonomic features such as the roller keys on the right hand pinky keys' stack, an asymmetric register key, comfortable trill keys and a neatly designed "landing zone" for the left hand pinky. 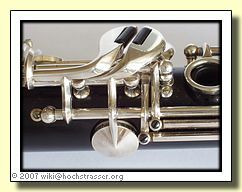 Personally, I profit most from the register key, followed by the rollers. 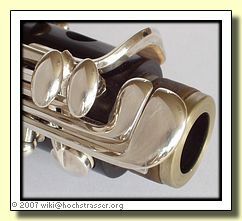 And besides, for someone tired of beaten paths, this is just the instrument. 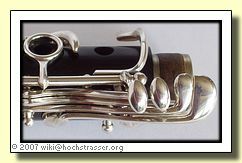 These pictures aren't PhotoShopped in any way - they're moderately adjusted re brightness/contrast but are otherwise unmodified. 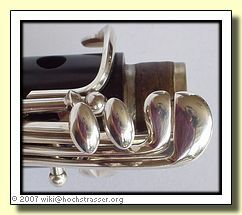 If you'd like to know how to do that, just ask.